Our generation still worries about wearing white after Labor Day. My 17 year old daughter Katie had no clue what I was talking about when we bought matching white tennis shoes on clearance at a department store. I mean, it was almost Labor Day so of course they were on clearance! These days we don't have to worry about wearing white after Labor Day for more than just fashion reasons. With Scotchgard™ Fabric & Upholstery Protector, our home and our fashions can look so fresh and clean any time of year, even after Labor Day. You better believe I treated these white tennis with Scotchgard™ Fabric & Upholstery Protector right after we brought them home! 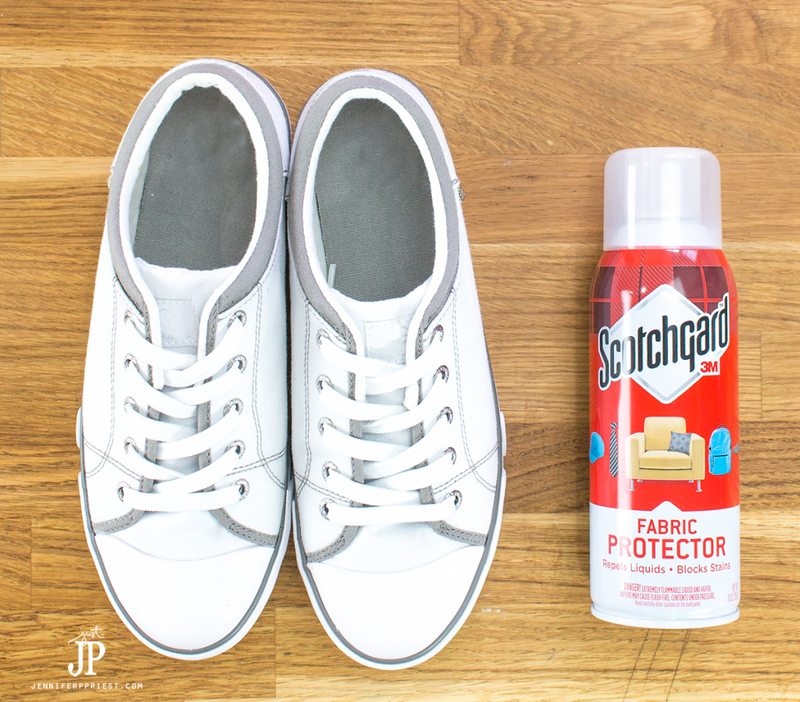 It takes just about 10 minutes to protect clean shoes with Scotchgard™ Fabric & Upholstery Protector. Whether it is dirt from our dusty desert climate or the grime of city streets when we visit downtown Los Angeles' garment district, wearing white shoes can seem precarious pretty much all the time. But they are so cute, they match everything, and these ones are super comfy. I mean, who wants to be in mom jeans and a pair of trainers to walk around town or a theme park? Not you, not me, not anybody! 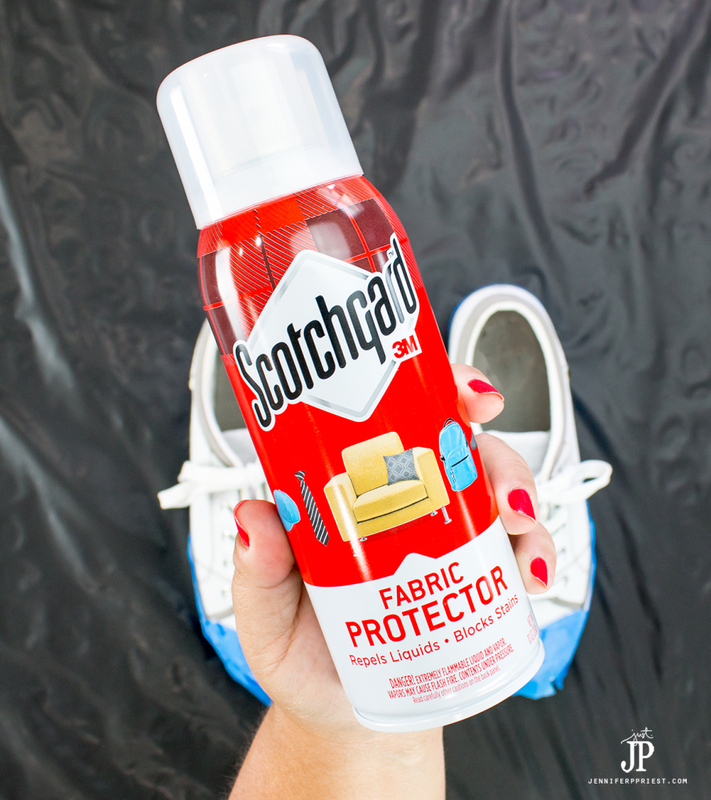 That's where Scotchgard™ Fabric & Upholstery Protector can save the day by helping keep your kicks clean and pretty. 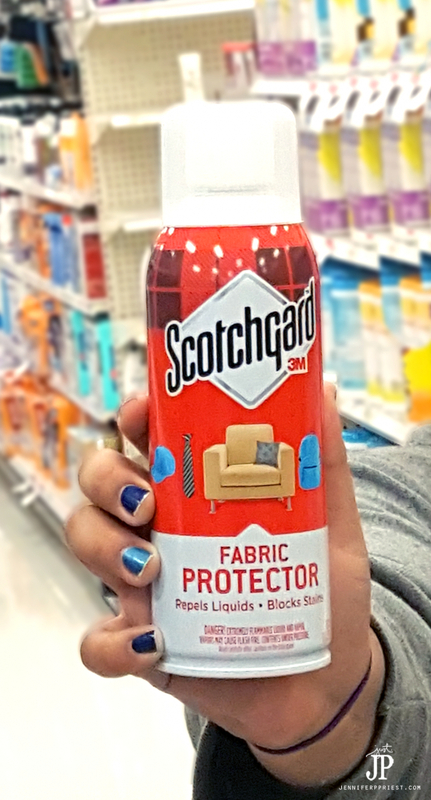 Scotchgard™ Fabric & Upholstery Protector is easy to find at Target – it's in the cleaning supplies area. Pick up a can when you bring home new clothes, pillows, shoes, curtains, caps, shirts, backpacks, bags and more. Anything fabric, Scotchgard™ Fabric & Upholstery Protector can help you protect it. Get a coupon for Scotchgard™ Fabric & Upholstery Protector to save on your next purchase at Target! Scotchgard™ Fabric & Upholstery Protector can be used on cotton, polyester, silk, wool, acrylic, nylon, and most other washable fabrics. Scotchgard™ can be used to protect just about everything you own! 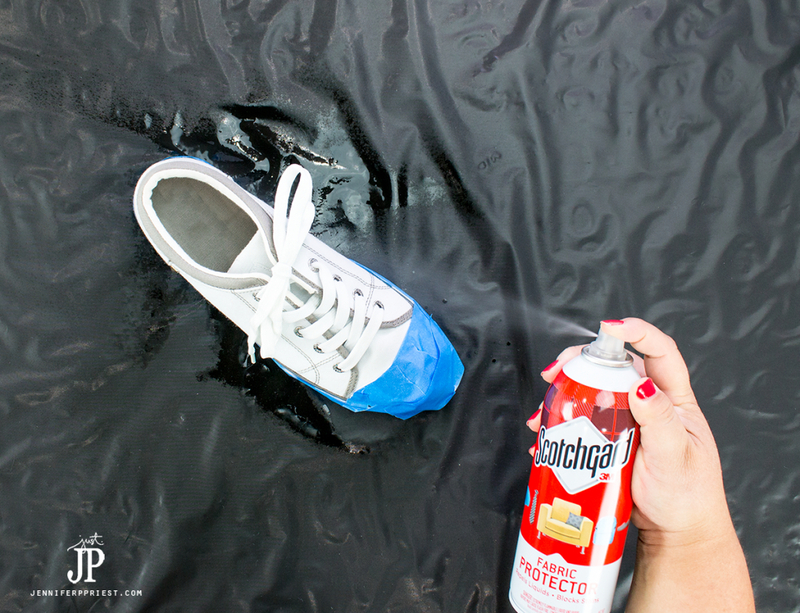 Be sure to protect any hard surfaces around the fabric, such as wood or plastic, from overspray. We covered our work table with a plastic sheet. 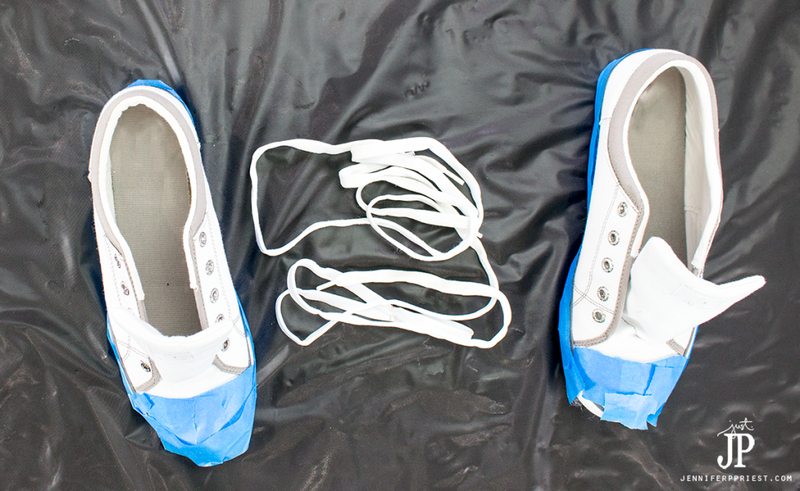 We masked off the rubber edges of the soles of the shoes with masking tape to protect it. If Scotchgard™ Fabric & Upholstery Protector does get on those hard surfaces, wipe it off before it dries. Test for colorfastness by spraying a hidden spot on the item until wet. Then rub the area with a white absorbent cloth – if any color transfers to the cloth, do not use Scotchgard™ Fabric & Upholstery Protector on this surface. Hold the can upright and spray about 6″ from the surface of the item, sweeping in overlapping sprays. 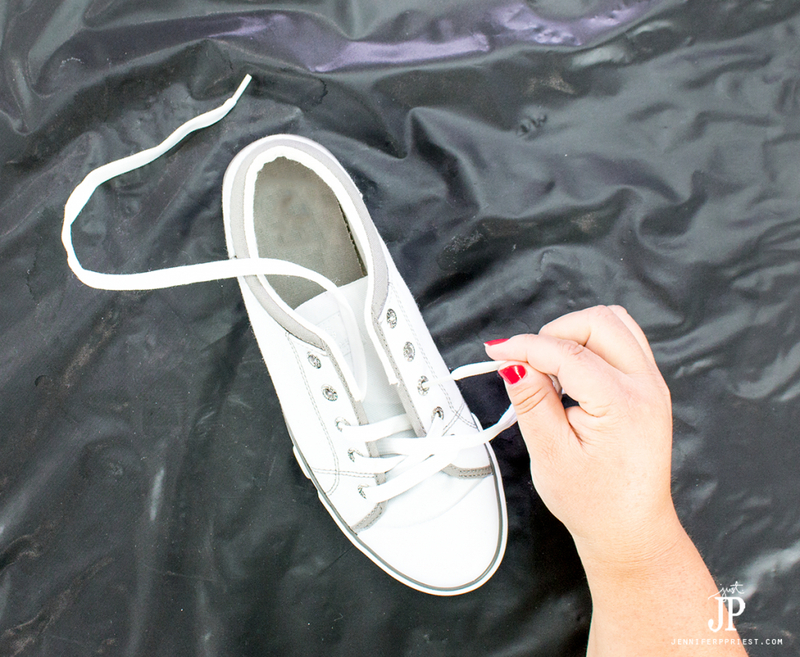 Avoid soaking the item – it's better to apply two coats than to try to soak everything with one coat. 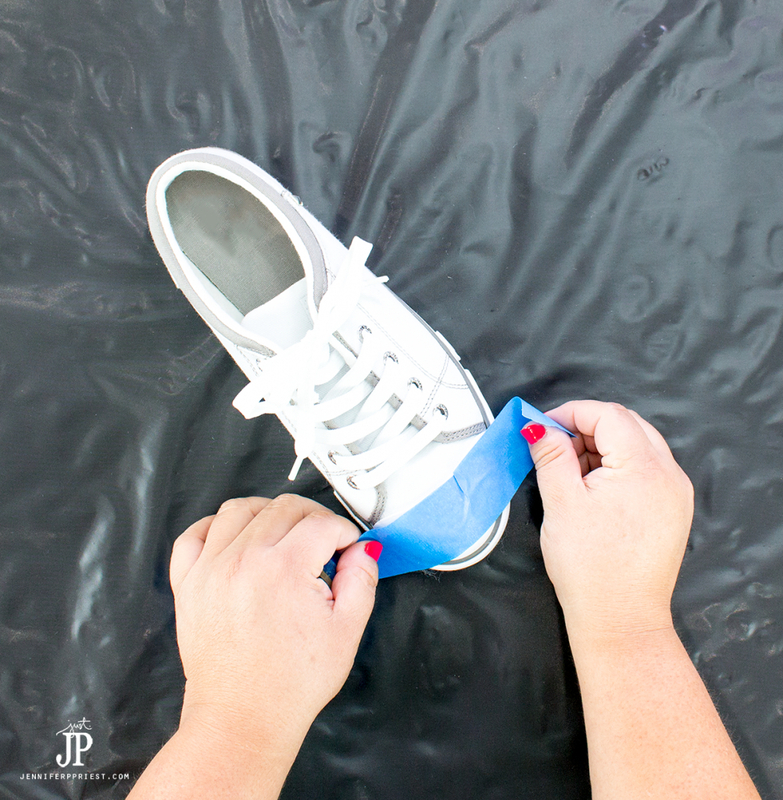 When treating shoes, it's a good idea to remove the laces so you can get better coverage over the tongue of the shoe and over the laces themselves. Allow to dry completely between coats and before handling. 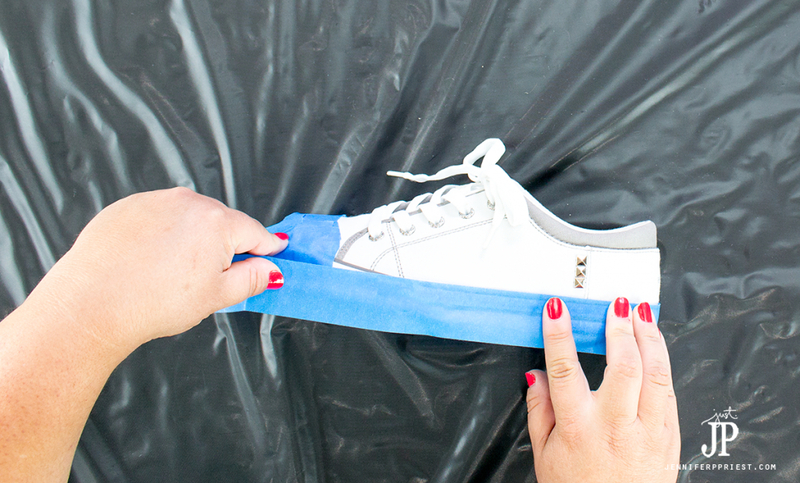 Once the shoes are completely dry, remove the masking tape. Rethread the laces through the shoes and they're ready to wear! For maintenance, reapply Scotchgard™ Fabric & Upholstery Protector after every cleaning or annually to maintain protection. And while we're talking about fashion, I had my resident fashionista whip a few outfit ideas with these fun white tennies. And yes, we're wearing these AFTER Labor Day! Katie styled this look for me – “fall mom”. 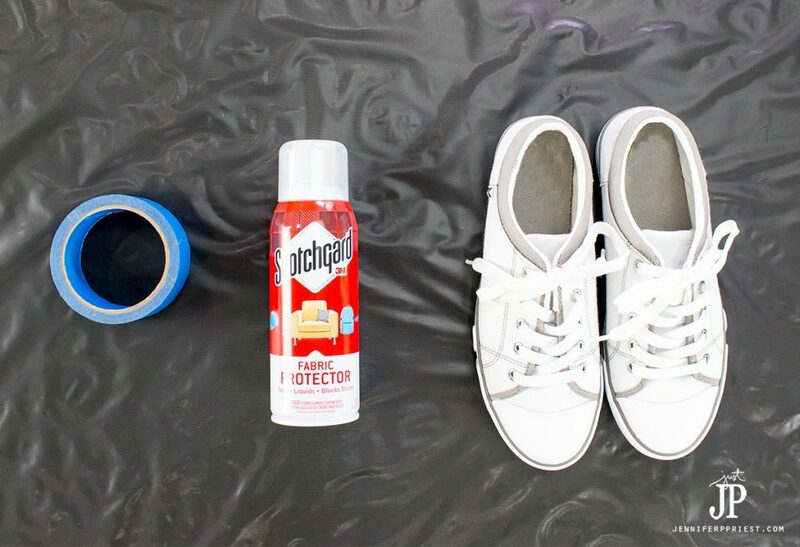 Yes, you can dress up and dress down with white tennis shoes and you'll always look fresh if you protect them with Scotchgard™ Fabric & Upholstery Protector first. Scotchgard™ Coupon on website – get it now and save! What would you protect with Scotchgard™ Fabric & Upholstery Protector? Let me know in the comments!! I love your website. You have so many great recipes and I love this Scotch Guard idea. I will definitely be purchasing. Thank you for the coupon. Have a very creative day! 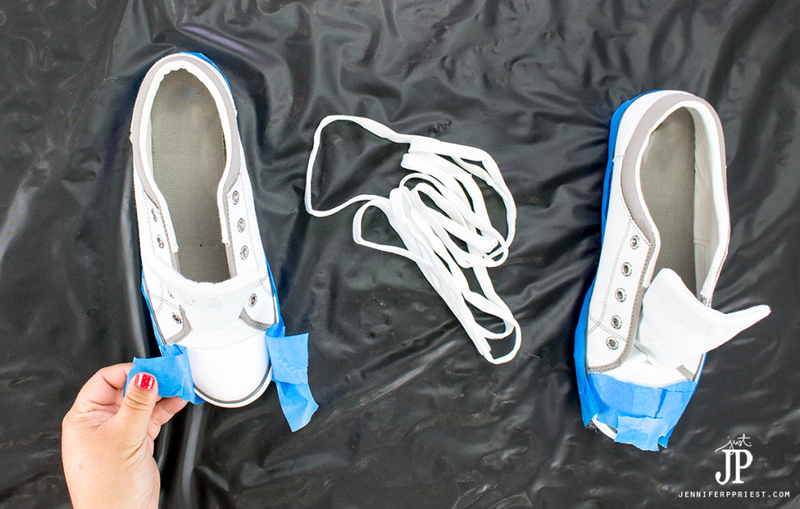 Have you ever had a pair of new white shoes turn yellow after spraying them with Scotchgard? No, I have not. But they do advise to spot test it first in case there is an issue.